Two pretty kids came on world today (ore female, and white male) after Heidy and Spike. Kids and mum feel well. Today PANDA Olivera's daughter finished the Championat of Poland. 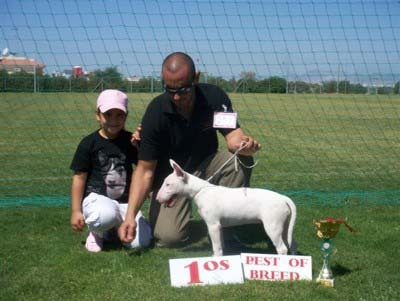 "KAZO " on his first show CACIB VARAZDIN 2007 won Puppy Class with great note. As owners write, he present super with huge applauses of audience. 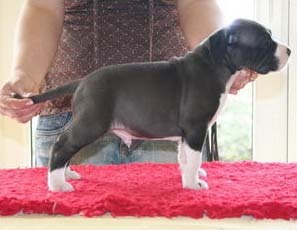 "Mystique Star" got great description on two shows, winning twice class with perfect rate. Congratulations Demetris !!! 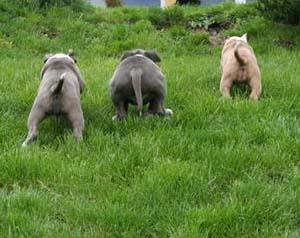 New Amstaffs photos are in puppies section. 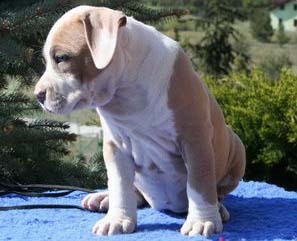 New Minibulls photos after Spike and Heidy are in puppies section. 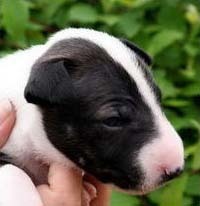 Today 6 beautifull puppies (5 females and 1 male) came on world. 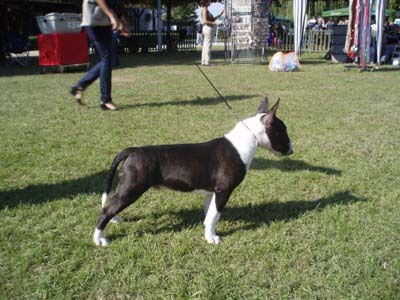 Their father is World Winner Spike and mother is Heidy. More info in puppies section. 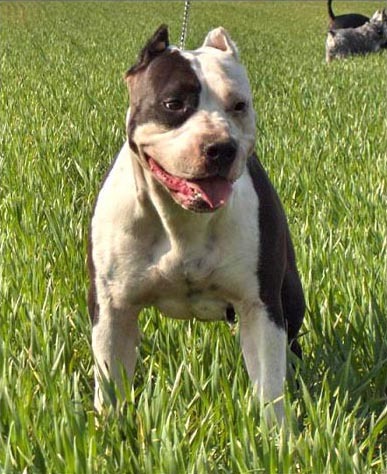 Today Amstaff Merry have born 6 puppies (3 males and 3 females). 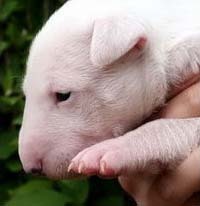 Babys are felt well - photos are in puppies section.